Hehe, I too have three diaries! One for my blog stuff, one for family appointments and one for work. The only diary of these three that I decorate is my blog one, using stickers and washi tape. 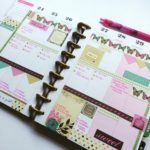 I do it to motivate myself, to highlight certain items in the diary and to celebrate any successes I have along the way with my blog! Nikki I have bits of paper written on all over the place, and no diary, I use calendars and weekly planners but I think the time has come to invest in a personal diary/planner, love that you have 3 different ones. 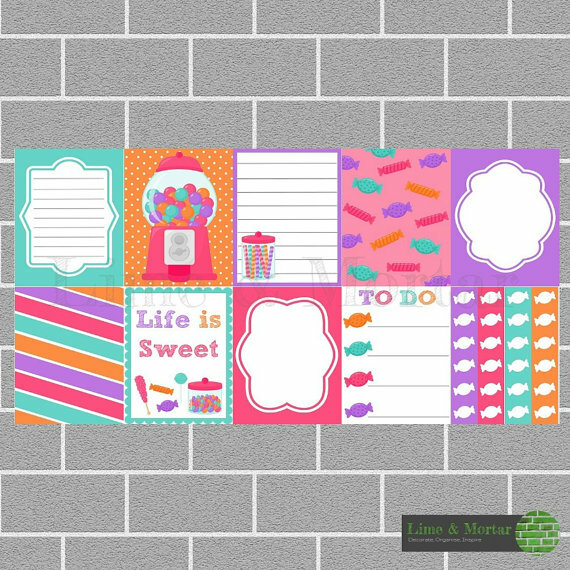 I am an Erin Condren planner addict and look forward to making mine each December for the new year. I have never felt more organised. Yay, someone who actually has one. When the girls were younger we were in Smiggle all the time, but they are KikkiK and Typo addicts now! I am a stationery addict as well. I don’t do the stickers and cuteness but admit I follow quite a few on Instagram who do. Love it all. And my local Kikki k salesgirl knows me and my kids well and we chat and catch up whenever I stop by lol. Instagram is the best for all things pretty! Pretty things don’t often come cheap, but if they bring you joy then they are worth it! Oh my goodness! Thank you so much for sharing this! I am in love. Love, love pretty stationary! I thank you, but not sure my bank balance will! 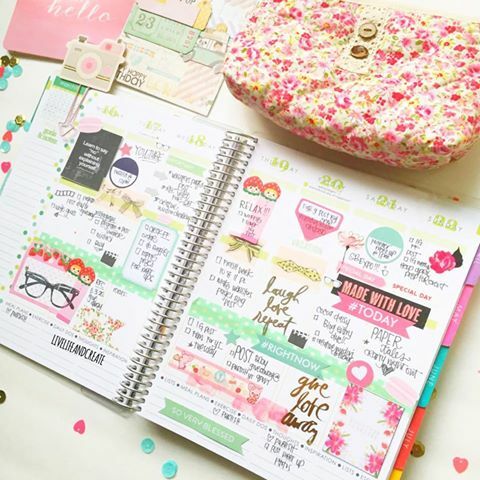 I LOVE looking at these kinds of beautiful planners on Pinterest and wish I could do something like it. I do decorate my diary but it’s just lame doodles and stuff to de-stress before I write anything I need to plan for the next day. I would really like one of those ECLPs! You can never have too much stationary! 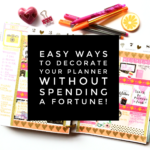 Well I have also three diaries as I love to plan, write and note down recipes. Though I am not a stationary addict but my six year old daughter is:).She has more than 10 diaries, loads of loose papers and more than 100 books. She asks for books as gifts rather than toys!